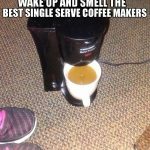 If you are a true coffee lover, you are probably aspiring to achieve at-home barista status, where you can brew all sorts of cups in the comfort of your kitchen. 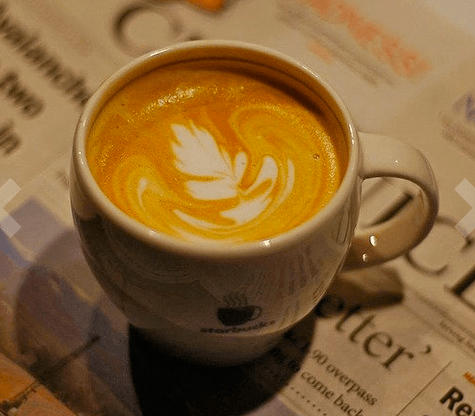 Of course, as a true coffee lover you will have to invest some money in buying an espresso machine that will help you make perfect cups of coffee each time. But maybe you don’t want to, or don’t have 1000’s to spend right now. Fair enough. Does that mean no espresso for you? Not by a long shot! You can simply spend less, say around $200, and still get basically what you want. And that’s what we’re here to talk about today. 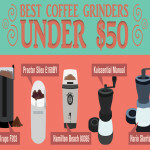 What you need to know before buying an espresso machine? An espresso machine will let you make a perfect cup of coffee in a matter of seconds. No need to go to a local coffee shop and wait in-line to get a cup of premium-quality coffee. Thanks to an espresso machine, you will be able to make your own cup of coffee and start your morning with a big smile. If you have a pod coffee maker or pre-ground packets, you are most likely tired of using the manufacturer’s narrow selection of coffees. A home espresso machine will take you into a unique world of coffee. You will be able to explore and taste all sort of coffees and decide on what makes your perfect cup. Most espresso machines will let you control almost anything. You can try bumping the temperature a little bit or aerating the milk a bit longer. Be creative, play with your coffee and adjust it the way you want – your espresso machine is made for that. 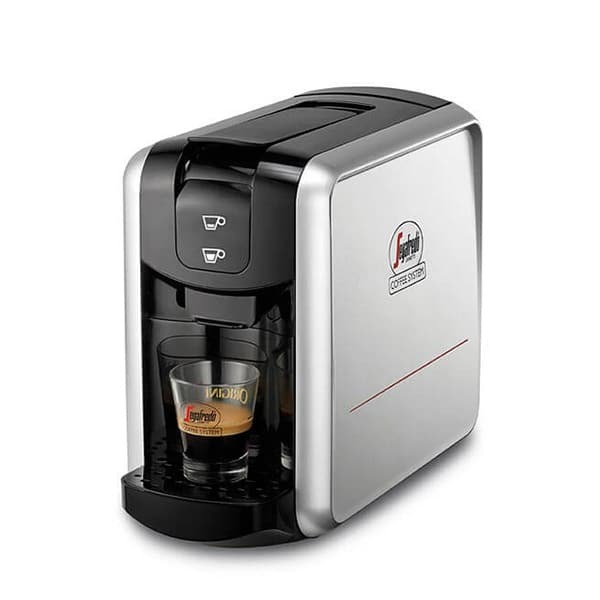 Espresso machines are nowadays becoming a very popular item in homes and in working premises. If you are looking to buy an espresso machine, you are probably wondering how much it will cost you. No worries, we are here to answer all your price- related questions. Let’s get some things straight; the price of an espresso will depends on several different factors such as brewing quality, ease of use, brand, etc. One of the most important features that affects the price of an espresso machine is the bar pressure they make. The higher the bar pressure the better the extraction and the higher the price. 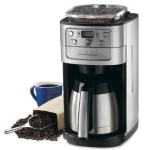 Most espresso coffee machines intended for home use have 9 bar pressure. There are also some models that have higher bar pressure. However, these models are usually intended for commercial use and cost much more. 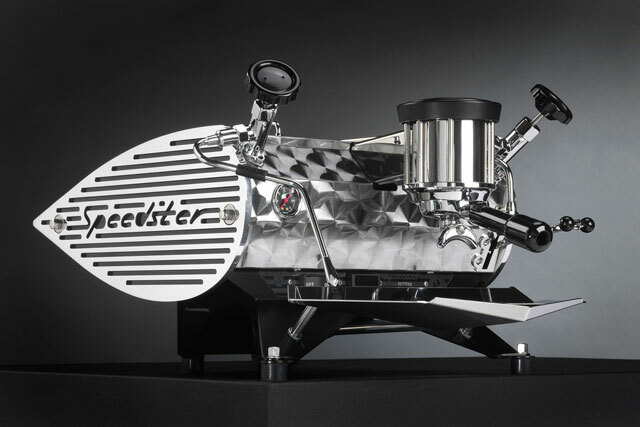 Espresso machines intended for home use cost anywhere from $50 up to $700. 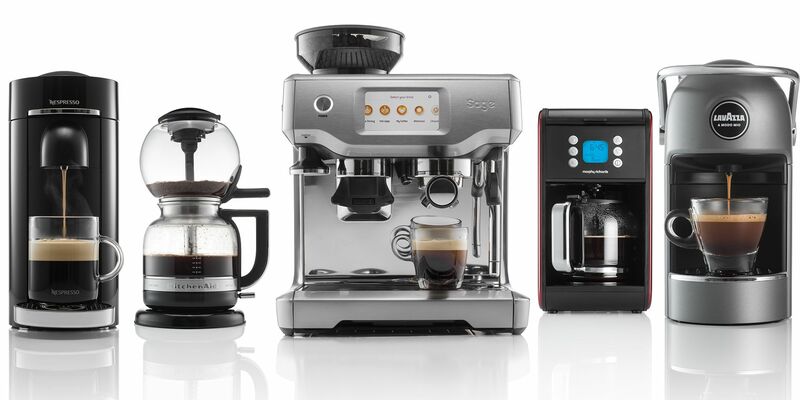 Espresso machines suitable for commercial use will cost you anything between $1000 and $7000, depending on the brand and the features they offer. 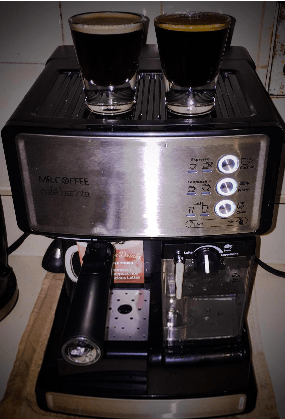 If you are one of those people who can’t imagine starting their day without a cup of their favorite coffee, a home espresso machine might be a perfect investment. But how much time and effort you are ready to dedicate to your daily cup of coffee? 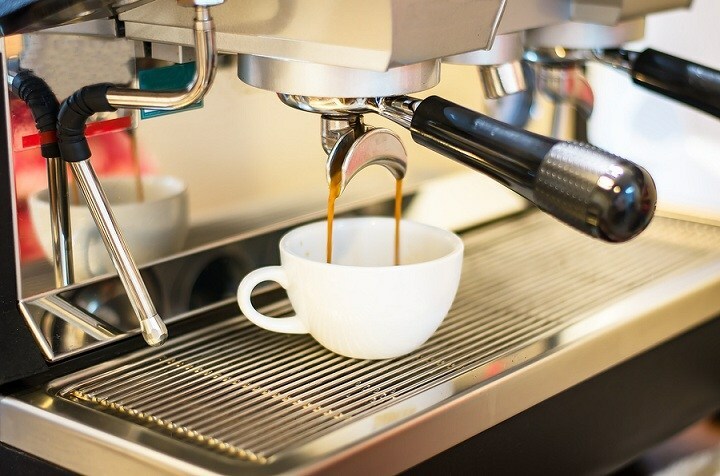 All espresso machines require some maintenance: removing the coffee grounds or used coffee capsules, regular cleaning, descaling, refilling the water tank, etc. Before you go shopping, you should consider whether you want to maintain a detachable brew group or not. If you don’t already know, the brew group is the part of the machine where the portafilter is locked in. 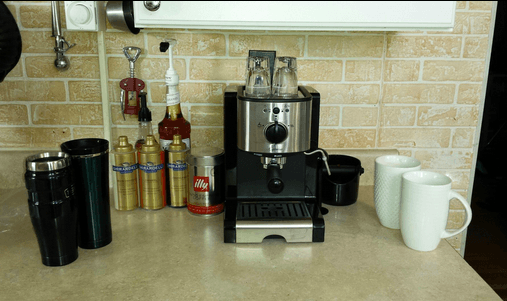 Espresso machines can have detachable or built-in brew groups. The detachable brew groups are easy to access for cleaning and maintenance. The built-in brew groups are designed to clean themselves automatically. Of course a machine with a built-in brew group will require less maintenance. However, it is worth mentioning that the built-in brew groups are to look at or get repaired if something gets broken. If you don’t mind spending some time on cleaning, you should opt for a machine with a detachable brew group. If you don’t like getting your hands dirty but don’t mind paying for a service if something isn’t working you should opt for a machine with a built-in brew group. Another feature you should consider is the pump pressure. Like we already mentioned, the pump pressure determines how much flavor an espresso machine can extract from your coffee. You should look for a machine with at least 9 bars. Espresso machines have progressed significantly since Luigi Bezzera invented the first espresso machine more than 100 years ago. These are highly sophisticated machines that turn coffee beans into a cup of coffee at the touch of a button. They are equipped with a built-in coffee grinder and brewing mechanisms that make a perfect cup of coffee in a matter of seconds. They can also froth milk for making cappuccino or latte by using a steam wand or milk frothing system. Semi-automatic espresso machines are the most common. 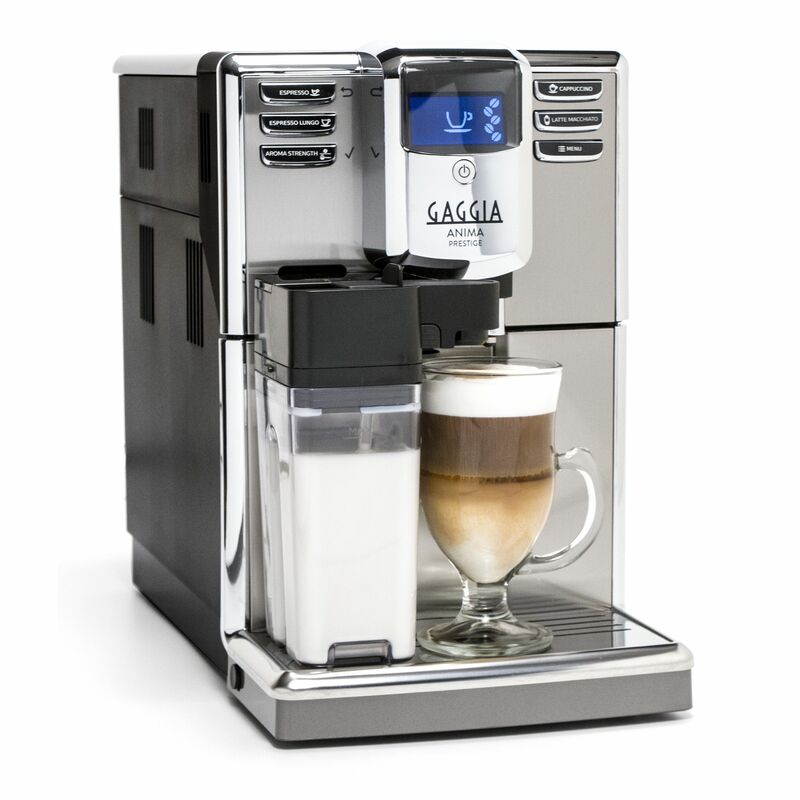 They come with an electric brewing pump that is manually switched on and off by the user. These machines are really easy to use, but do require a lot of manual intervention unlike super-automatic machines where you simply need to press one or two buttons and wait for the machine to do all the work. 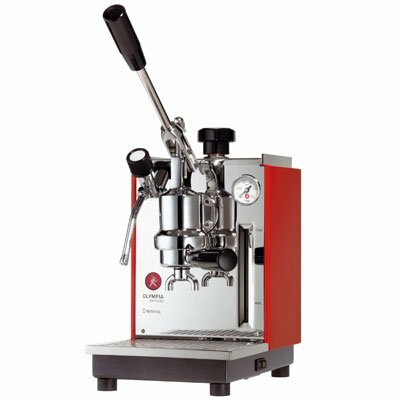 Manual lever espresso machines are old-world style machines designed for hands-on espresso enthusiast who are willing to experiment and invest some time in making a perfect cup of espresso. Although these machines are most complicated to use, they actually let you become part of the brewing process. Capsule espresso machines are incredibly to use as they don’t require you to have any practice or skills. All you need to do is to fill up the water, insert a capsule and press a button. Some of the capsule espresso machines are also capable of frothing milk with a steam wand or automatic milk frothing system. We bring you these three espresso machines that cost under $200. They are all rated by our testers and received higher than 4 stars. 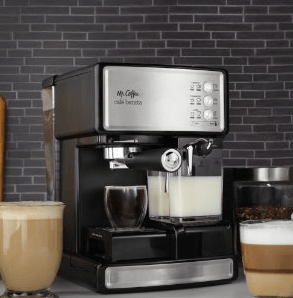 While we can’t choose one of these machines as the ultimate espresso machine, per se, we can say that all these espresso machines make outstanding espresso, as well as cappuccinos and more. Also, all of these machines are capable of producing double shots of espresso. If you are not able to put your hands on fresh grounds, they all take pods for ease of use. If you’ve only got about $200 to spend, then how about this little beauty; the Capresso EC 100 Pump and Espresso Machine. Looking stylish in black and silver colored metal, she is far more than just a pretty face. This can make two espressos at a time, as well as coming equipped with a dual frother to do both the frothing for cappuccinos and steaming for the lattes. Across the web, people are loving this machine. Sure, there are the gripers, some machines will always malfunction, there are one or two complaints that it is not hot enough – although if you follow the instruction manual to do the pre heating, this should raise the temperature by 10-15 degrees. By and large this is a good little buy and still definitely one of the best espresso machines under $200 on the market in 2017! Boasting a nice and easy one touch approach, but still allowing the user to custom select how long they press each function for to adjust the settings. This combines a degree of user control, putting you in the driving seat, while still being a joy to use. In terms of entry level, this is easy for a beginner to master. 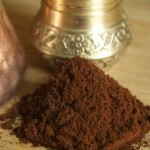 Prepare at least three types of basic coffee and as much as your imagination will conjure up of coffee house recipes! Own a travel mug but struggle to fit it under more ‘traditional’ machines? This lets you adjust the size from tiny espresso cup up to big mug without a problem. Downsides? There has been some mention of slight leakage problems, in a very small number of cases. On the whole most people are very happy though, with many positive user reviews. This is quick to use, can make two shots and does excellent crema too, oh and there is no need to manually froth the milk, as it is automated to take the guessing game out of doing the perfect froth. At only a fraction under our budget, although this is our top priced best espresso machine under $200 the price has been discounted, so who knows how long it will stay this cheap? Get it before it goes up in price! If you’re still not sure which is the best espresso machine for under $200 perhaps this could be the one. 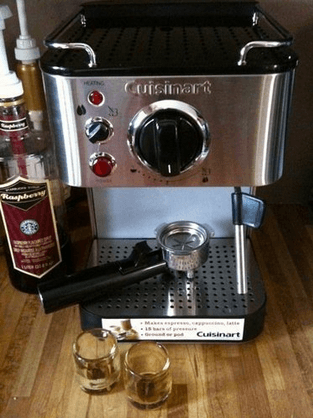 Step forward the Cuisinart EM-100 1000-Watt 15-Bar Espresso Maker. Like the other two it also takes pods for convenience and speed and can also do one or two shots at a time. Also, it can make lattes and cappuccinos and looks swish and stylish in stainless steel. 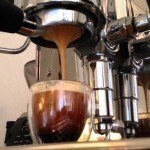 This makes really nice espressos and even people who have had problems with it have said the end product is a good one. Some users have experienced technical difficulties with various aspects of this machine, but then it also appears that some people have been buying reconditioned models. Perhaps it is prudent to check your vendor and only make sure that you buy brand new from a reputable seller before ordering this. Other good points are a nice thick crema, cup warmer/ storage area on the top and a hot water dispenser for making other drinks ie tea with. It is nice and quick and people are satisfied with the turnaround time from initiation to caffeination. The tank is also sufficiently large enough to make about four cups at one time. This is a machine for someone who loves espresso but cannot afford a high end maker. On the whole though, it is a popular seller and with an overall rating of 3.5 stars out of five, a firm contender for being 2017’s best espresso machine for under $200. Whichever one of our top three you plump for you are bound to be brewing (relatively) inexpensive espresso at the literal touch of a button in next to no time. Professional standard espressos, cappuccinos and lattes will be firing from your cuisine before you know it and it won’t be complicated either. 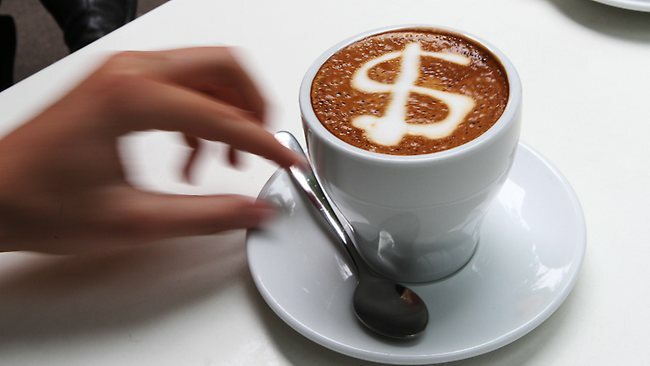 Save $$$ on expensive takeouts from coffee shops by investing as little as $140 and grab yourself a bargain.